IT has been already remarked, that it is the habit of prophecy first of all to develop the end. It describes the consummation first ; and if in subsequent visions the same subject be retraced, we find ourselves led further back as to time, and earlier circumstances are portrayed. He who has valued and given heed to the earlier lesson, will desire further knowledge and he is worthy to receive it. We find a remarkable instance of this enlarged instruction in the chapter before us. The thirteenth chapter had, as we have seen, revealed the great Monarch of the prophetic earth in all the plenitude of his glorious power. We see him there in his last estate, with all glory centred in himself all recognised as proceeding from him, and all returning to him : for he glorifies himself as God. The path, therefore, of Antichrist into power will not be dissimilar to that which has hitherto uniformly been trodden by those who have exalted themselves into greatness. They who have hitherto risen from obscurity into glory who have founded new sovereignties, and given their name to empires, have first been the servants of some existing system which they have served, and under whose favours they have grown, until they have become strong enough to despise and spurn its patronage. And hence it is that none, no, not even saints (except indeed they watch and keep the testimonies of the prophecy of this book) will feel surprised or scandalized at the course upon which Antichrist enters. He will merely be the friend and the supporter of a system already known and already honoured a system that will have been long existent and long valued. And they who have seen no deformity therein whose eyes and whose thoughts have been habituated to rest in it with complacency, if not with joy who have seen in it no “mystery” of iniquity will find little to offend them in the ways of that mighty One who will arise to be its champion and its shield. Indeed it cannot be doubted, that many an individual, admired and idolized by men, is even at this present hour occupying a place that resembles, in the estimate of God, this early place of Antichrist. Few resemble him in his final place of individualized power : but all who have thrown their energies into the support of any systems whereby the truth of God has been discredited, or wickedness sanctified by the name of Christ, do virtually stand in a place that answers, in measure, to the symbol here given, and have, like the beast, names, though not all names, of blasphemy written on them. We cannot, therefore, be surprised that this chapter has frequently been applied by the servants of God, in different ages, to those ruling systems which they have severally recognised in their own day as hostile to the people and to the truth of Christ, whilst perhaps blasphemously assuming His authority and name. Nor were they altogether wrong in this ; for what ecclesiastical body, I might add, what secular body, has. . . . . .
By Rev. David Blunt, Free Church of Scotland (Continuing) – 29th October, 2010. The Rev. 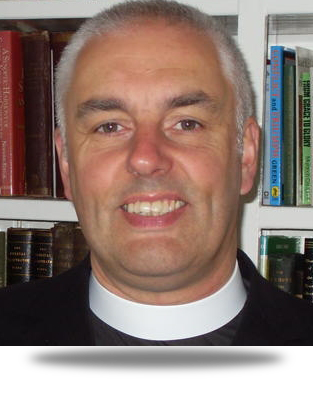 David Blunt of the Free Church of Scotland (Continuing) on the Isle of North Uist spoke on the subject of “The Antichrist: The Present and Future Threat” at the 2010 Christian Watch Annual Meeting held on 29th October in Luton. The Rev. Blunt opened his address by highlighting how everyone seems to have heard of the Antichrist, but few seem to really understand the term and in particular who and what Antichrist is. He also warned against the two extremes when considering the Antichrist, of 1) being “over literal” in interpreting the scriptures and 2) “being unduly shy in our approach” to this important matter thinking these are issues too difficult to comprehend. He continued that it was his conviction that the Papacy was the very Antichrist revealed in God’s word and then clearly laid out the development of the Papacy through history until the present day. Rev. Blunt continued by identifying the new strategies of the Papacy now it can no longer impose its views outside its own “Church” as it did in times past. The first strategy being its apparent reform, the second its hypocritical demands for the very minority rights it so often denies others and, finally, in its ecumenical endeavours to create a “unified” church under the headship of the Pope. Further Rev. Blunt showed how these new tactics of guile by the Papacy have successfully deceived many including the Monarchy and successive Governments to think that Rome has somehow changed, and is no longer the murderous persecutor of the dark ages. Indeed so successful have these new tactics been that even some professing Christians and “evangelicals” no longer see the Church of Rome as an apostate church but rather have the deeply misguided view that they are “fellow brothers in Christ” and we should join together to fight the forces of secularisation. Rev. Blunt then gave four causes for this worrying shift in attitude. This excellent address was concluded with an exhortation for true Christians to play their part in the Papacy’s destruction by faithfully contending for, and preaching, the Biblical gospel and, finally, an encouragement to take heart because the final destruction of the Papacy was inevitable, at the Lord’s return. Rev. David Blunt was born in Essex in 1958 and brought up in Hampshire. He was converted to Christ in 1983 while engaged in scientific research in Scotland and studied at the Free Church College in Edinburgh. Following ordination to the ministry in the Free Church of Scotland (Continuing) in 2000 he served as an Evangelist/Church Planter in Aberdeen. In 2007 he was inducted as Minister of the North Uist & Grimsay Congregation in the Western Isles. Rev. Blunt is a founding member of the James Begg Society and the author of “Which Bible Version?” published by the Trinitarian Bible Society. He is married to Sybil.